The majority of Australian brands are failing to recognise and respond to social media as an interactive customer service and support channel despite its rising importance with consumers. That’s the belief of lead strategist at digital consultancy group Online Circle Digital, Lucio Ribeiro, who made the comments following the release of its inaugural Social Customer Care Report produced in association with sister technology company, Social Pulse. The new research sets out to provide a benchmark of how leading Australian brands and industry sectors are interacting with customers through Facebook, and lists of the number of posts received, as well as the response rate and average response time recorded across these brands and sectors during September. Sectors covered include telecommunications, retail, FMCG, education, airlines and travel, news services, banks and government, while brands include Qantas, Commonwealth Bank, Vodafone and Purina Australia. Ribeiro said the report was prompted by the fact that social media is increasingly become the channel choice of consumers for customer service thanks to their growing digital intelligence and real-time interaction expectations. According to the company’s data and research, more than 20 per cent of Australians have used Facebook or other social channels to complain about an organisation or brand, and 10 per cent have used it to look for assistance when resolving an issue. As an example, Ribeiro claimed one large retail client in Australia was receiving one consumer complaint on social media every five minutes, making it impossible for five dedicated social media staff to respond adequately. To cope, Ribeiro said the company invested in an automated technology solution and prioritisation process to take into account the consumer’s social influence, rate sentiment, and integrate data with the CRM in order to better understand the individual. In addition, a survey of 200 consumers found more than 20 per cent posting questions on Facebook expect a response from the brand within an hour, and that 40 per cent would not accept a response after more than one day. Despite this, there are still plenty of Australian organisations that haven’t realised its importance or potential, Ribeiro claimed. One Australian brands doing a good job of social customer service is Telstra, which has invested heavily in its 24/7 social customer command centre. During the reporting period, the telco giant received more than 300,000 posts to its 24x7 page and recorded a 97 per cent response rate, with an average response time of 1 minute. Overall the telecommunications sector is heavily investing in its social customer service capabilities, Ribeiro said. Retailers are also ramping up across a wide range of activities. On the flip side, response rates were much lower across sectors such as restaurants and news media, although Ribeiro added the overall caveat that not every post always requires a response. “The upside to this is that most consumers who do get a response from brands through social media have very positive reactions to those brands on Facebook,” he said. “About one-third of our sample of consumers who received responses returned to leave positive messages and became higher and more positive brand advocates. For those marketers looking to embrace social media as a customer care channel, Ribeiro outlined several key steps. 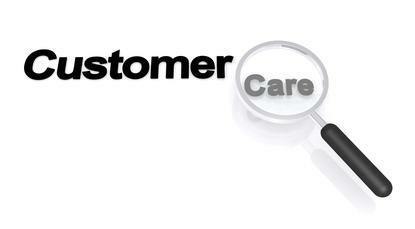 The first is to understand who is in charge of customer service. Is it the marketing or promotions team, and do you have a clear conception of how these people work? The report was based on automated and manual analysis of data provided by Social Pulse, a tool which tracks real-time Facebook activity and provides rules to manage comments and prioritise responses.